WOW! What a day. I think we’ve all just about recovered from the excitement of yesterday. 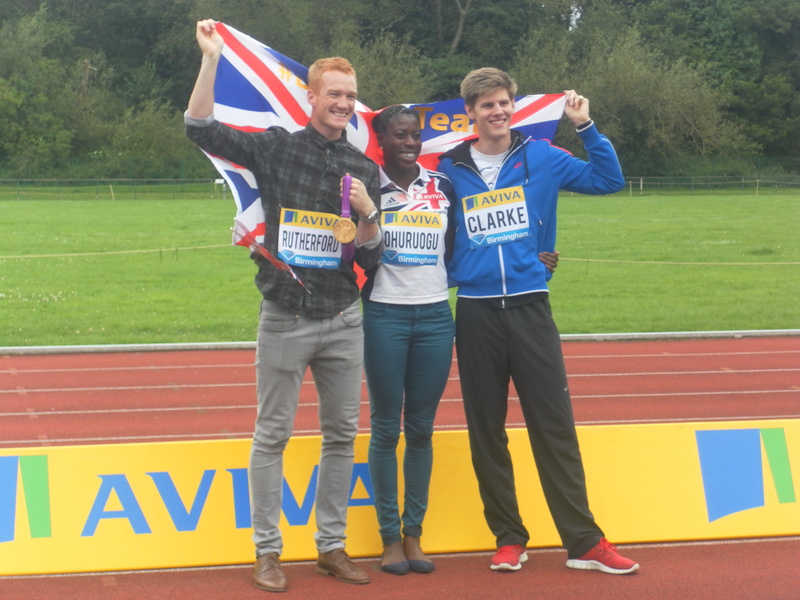 We were truly honoured to be visited by GB athletes Lawrence Clarke, Christine Ohuruogu and Greg Rutherford. Startrack athletes impressed the Olympians with their athletic prowess, while Christine, Greg and Lawrence gave advice and encouragement to help them become Olympians of the future. It was an amazing day. Through a question and answer session with the stars we found out that Greg plans to get selected for the GB 4 x 100m team in the future and he also thinks he might be able to beat Bolt! (At the long jump.) The athletes posed for many photos and gave loads of autographs; they really did everything they could to inspire those around them. Thank you so much Christine, Greg and Lawrence. We’re all so grateful to you for giving up your time to come and see us. Best of luck for tomorrow’s Diamond League. And a big thanks to UK Athletics for selecting our club to host such an exciting event. This was probably Maureen’s last competition as she will be moving to Scotland at the end of the month. 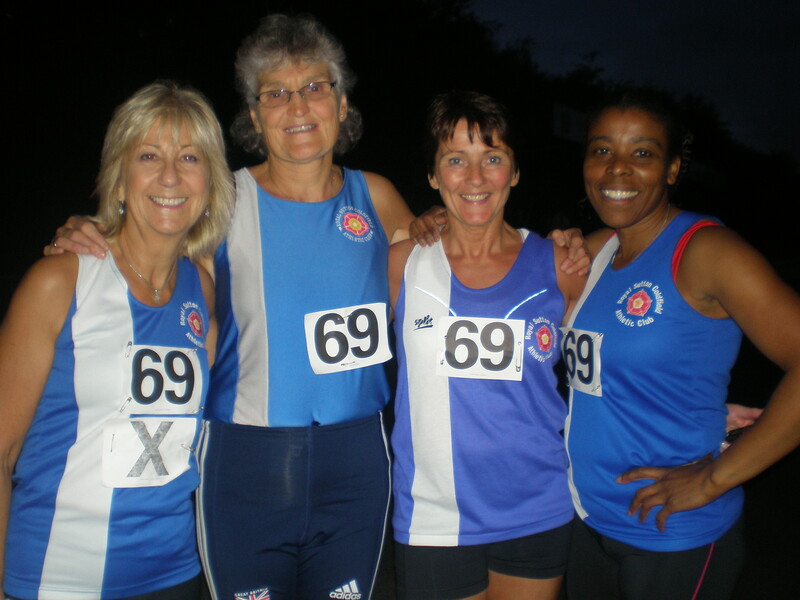 Maureen, who went to three Olympics (1964, 1968 and 1972), has been a great servant to the club since joining as a Master/Veteran, winning many medals in the sprints whilst representing GB and RSCAC at World and European Masters Championships. She will be sorely missed. We wish her and Peter a wonderful time in Scotland. The results are now available here for final the league match on Saturday. The league table is available here. We won by 31 points clinching the league title in the process. There were fantastic performances by everyone who took part. In the women’s events Charmaine Riley won the 200m A race, whilst Charlotte Newman recorded fantastic victories in the 100 and 200m B races. 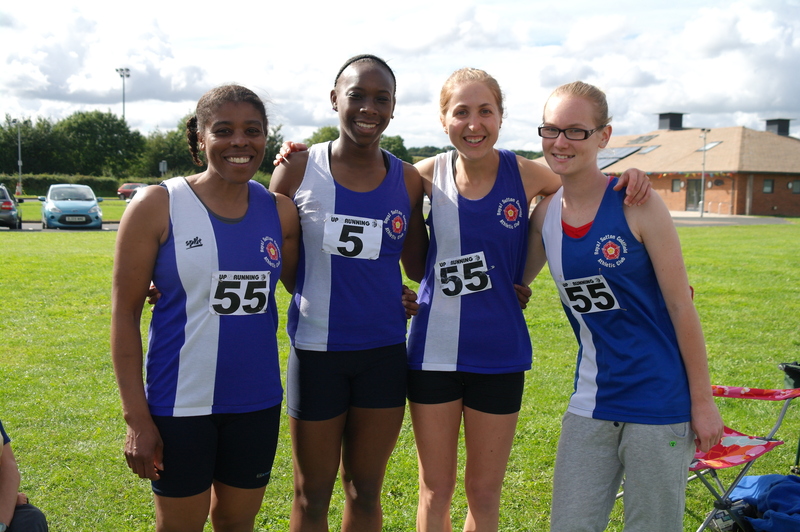 Megan Evans and Janice Pryce took maximum points in the triple jump, whilst Janice also won the long jump B event, recording a new club age group record in the process. 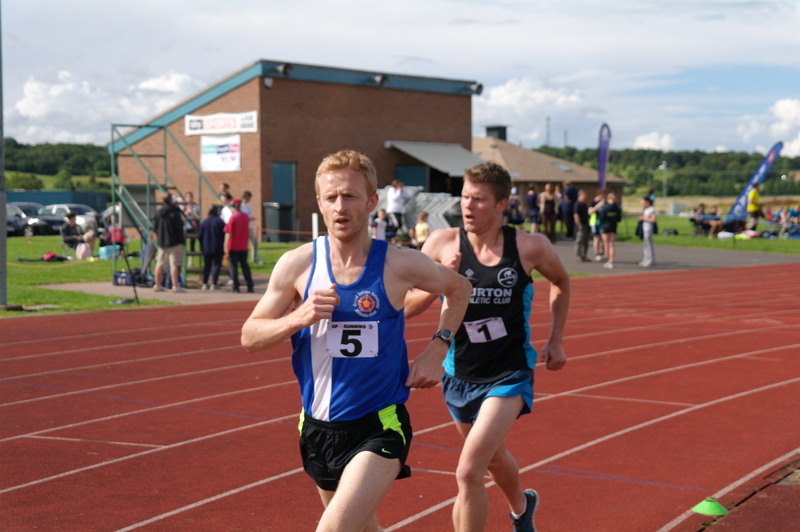 Other winners in the A events were Adam Barnes (400m), Rachel Smith (800m), Ollie Haradence (3000m) and Nick Corker (3000m steeplechase), whilst Lydia Sergiew and Lizzie Farrow recorded PBs to finish 2nd in the 400m and 3000m respectively. 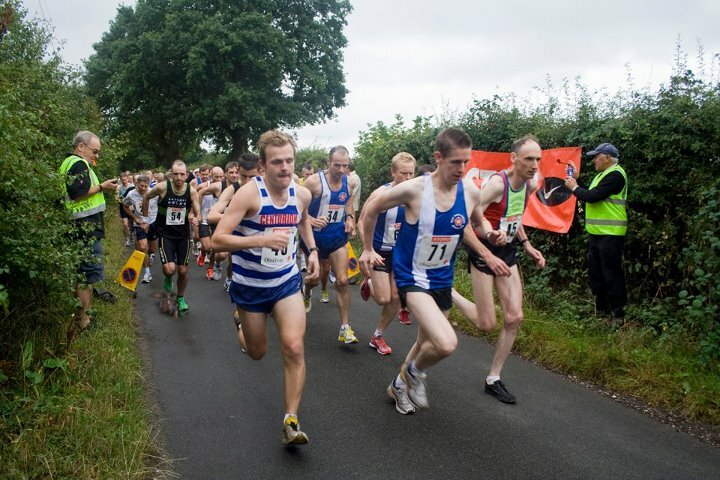 In the B events there were victories for Rachel Smith (400m) and Fred Trembley (1500m), whilst Madeleine Stearn, Fiona Smith, Paul Terleski, Dave Long, Steve Marklew and Russell Simpson all had 2nd place finishes. Alistair Brauns won valuable points for the club in the long jump, triple jump and 400m, whilst Theo Larcombe was a close 3rd in a competitive 800m race. 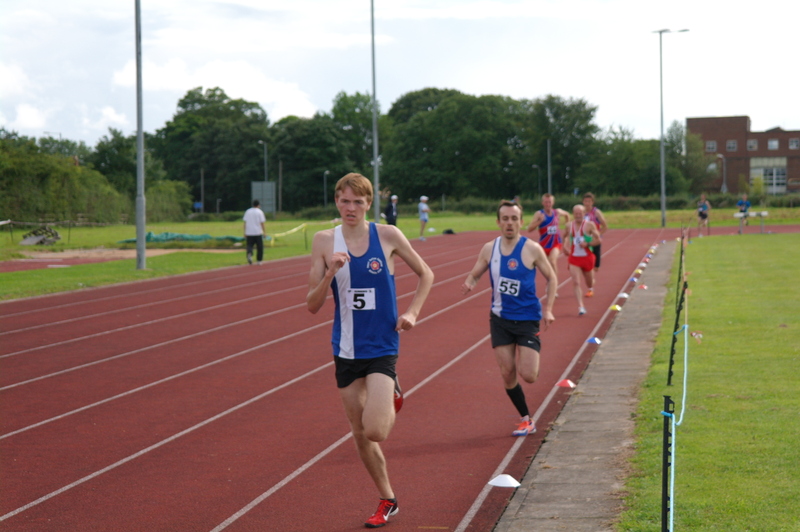 We also had victories in the men’s and women’s 4x100m relays and the men’s 4x400m relay. We set 4 new divisional records during the season – Well done to Nicholas Pryce (100m, 200m), Kevin Brown (Discus) and the 4x100m team. Details of the records are available here. It’s not just Team GB that are doing great! Another fantastic performance from the senior athletics team today saw us win the final Midland Athletics league match in style and claim the overall title. Brilliant performances from everyone who took part with lots of victories on both the track and field! The results and a full report to follow…………..